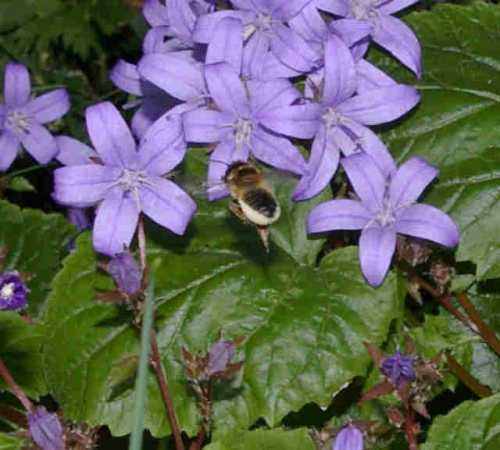 In this section, you'll find lots of information about plant pollination. In particular, you'll be able to read about the importance of insect pollinators - especially bees, and bee pollination. 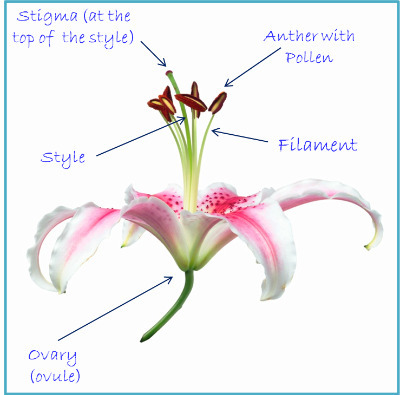 You can also find out about the different types of pollen, and look at a diagram illustrating the pollination process. Of course, not all plants require assistance to pollinate. Some are able to self-pollinate, some rely on the wind, and a few on water (only covered very briefly on this site). However, bees and other insects pollinate what is arguably the tastiest part of our diet, including fruits, vegetables and the things with which they are made or flavoured, such as the strawberries in strawberry jam, the blueberries in blueberry syrup, and the almonds in almond tart. You may have heard that bees and other pollinators are experiencing worrying declines, but we can all do our bit to help them. Wouldn't it be a real shame to wave goodbye to strawberry icecream, cranberry jelly and juice, apple or pumpkin pie and even baked beans? So do take a look at the different types of plant pollination, and the role of bees and other insects by clicking on the links below. Firstly, an explanation of what pollen is, looking at the difference between Entomophilous Pollen and Anemophilous Pollen. Learn how the pollination process works, including the role of the different parts of the flower (stamens, stigma, anthers, pollen, carpels etc). Diagrammatical illustrations of the pollination process and flower parts are included. How do flowers attract their perfect pollinators? Bees and butterflies are attracted to beautiful fragrances, whilst other pollinators prefer the stench of rotting flesh! Find out how flowers attract their ideal pollination partners! A website about bees would have to have a section dedicated to bee pollination! There's lots of information here, including an explanation of the importance of wild bees. There's further information about the contribution of insect pollination here, including the findings of a United Nations report on the contribution of pollinators, and some statistics on pollinator declines. Cross pollination is essential for a good crop of many kinds of fruit and vegetables, such as strawberries. Learn more from this page. Learn about wind pollination here. Discover how some plant groups have adapted themselves to enable pollination by the wind! Some types of plants can self pollinate. Here you'll find further information. 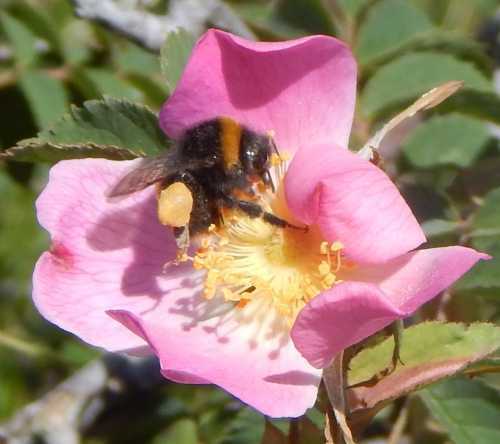 Bees pollinate flowers whilst collecting both - but why are they gathering it? How do different types of bees collect pollen? Different bee species carry pollen on different parts of their bodies to take back to their nests. How flowers pollination occurs, looking at the different type sof pollination. How And Why Do Bees Buzz?